A local businesswoman, who owns a movement studio in Sebastopol wanted to update her web site. She had created a site several years ago using Google Blogger. 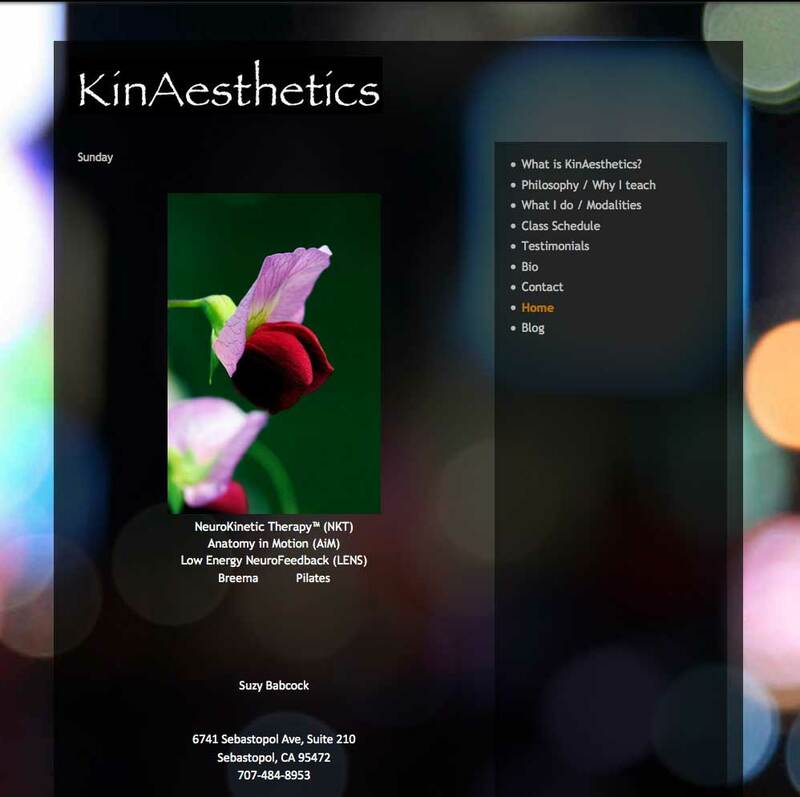 Her goals were to bring in more customers by updating the professionalism of her site. We talked about Search Engine Optimization and how her new site would include responsiveness and customized meta tags resulting in gains in search engine page rank. I was inspired by her study of gait in both animals and humans. I wanted to include the philosophy that all mobility comes from the flexibility of the foot. I also was inspired by her love of ballroom dancing, especially the Latin dancing. I created a custom theme, with full page widths and no sidebars, fully responsive, mobile-first design. I used colors and simple elements to convey the feeling of balance and stability.